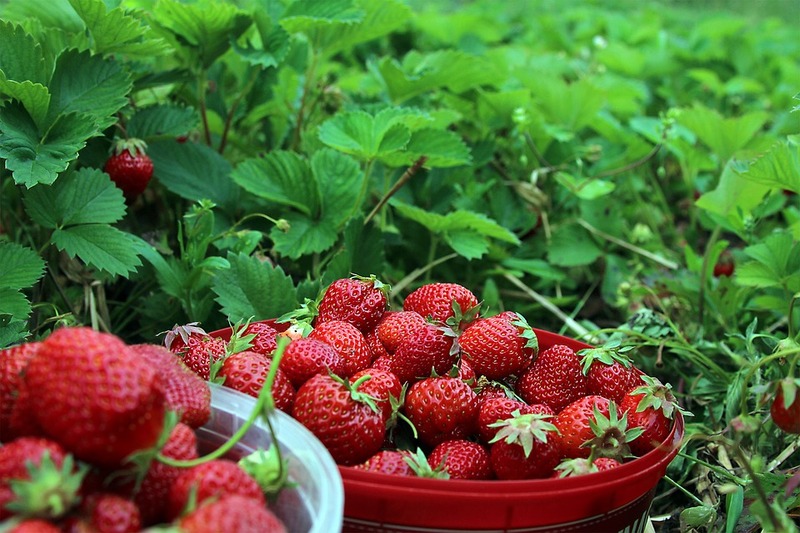 WELCOME to Hanulcik Farm Market and PICK-YOUR-OWN Strawberry Patch and Fruit Orchards! We are a third generation FRUIT FARM & FARM MARKET with locally-grown seasonal fruit from our farm to your family’s table since 1936. Our farm has been owned and operated by the same family for over 80 years in Ionia Michigan. 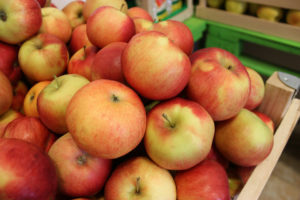 Our market is open seasonally during harvest times, with both fresh-picked and pick-your-own fruit starting in mid-June-early July with our delicious STRAWBERRIES, and mid-September through October with a wide variety of APPLES (including Honeycrisp and Northern Spy). PEACH SEASON LAUNCH will be 2019-2020. A NEW peach orchard has been planted, and our trees should be established and producing fruit soon. Visit our local farm and market for fresh seasonal fruits harvested at their peak of freshness, local honey & maple syrup, and locally-made goat milk soaps. 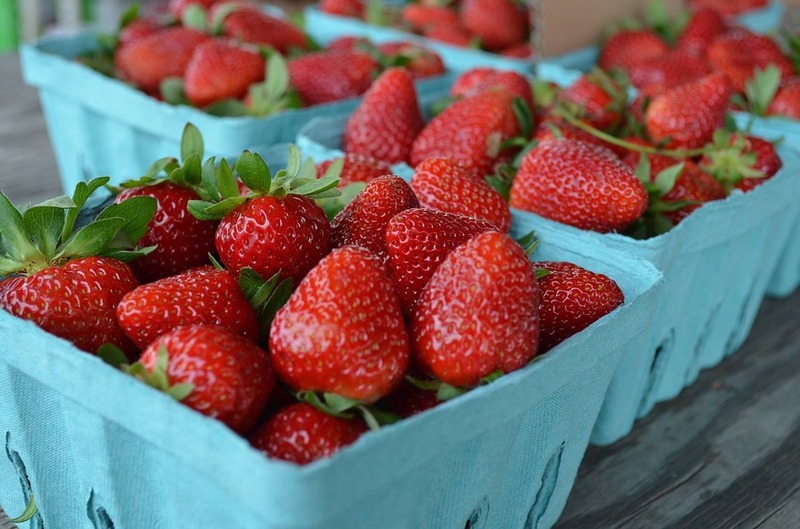 We have both fresh-picked OR pick-your-own strawberries at the farm market and on North State Road. Our pick-your-own patch is open to ALL AGES, so bring the whole family for a kid-friendly, fun berry picking good time! Our Farm Market & pick-your-own strawberry patch are located at 1425 State Rd. in Ionia. 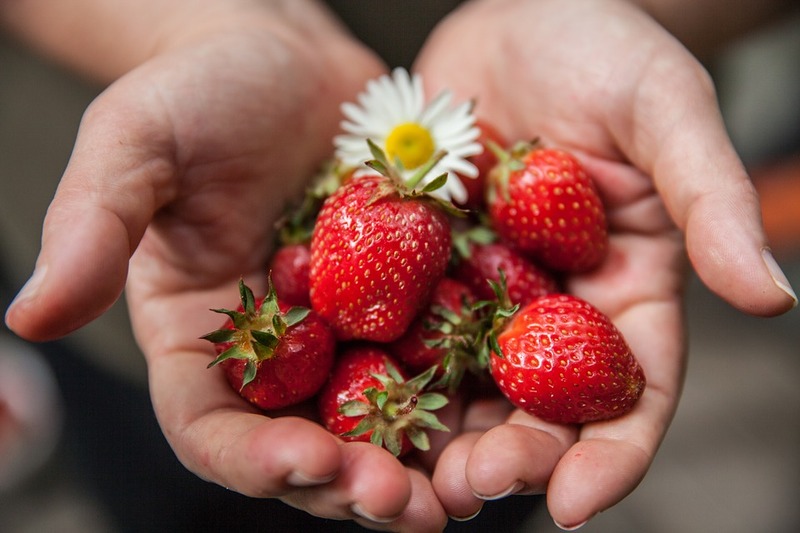 2019 STRAWBERRY SEASON hours & dates of operation to be announced. NOR’EASTER: A great old-fashioned variety with strong flavor; firm, large size. WENDY: Large, tasty and aromatic, with a great fresh flavor. JEWEL: A large, glossy berry with excellent flavor that’s a customer favorite. L’AMOUR: Bright red & flavorful heart-shaped berry. DARSELECT: Sweet, firm berry with an attractive conical shape. RECORD: Our late season variety, with a rich, sweet flavor; developed in Italy. Our farm market also carries local honey & maple syrup, plus a line of locally-made goat milk soaps (infused with wonderful scents) during strawberry season. Pick your own hours are weather dependent. Please call the market at (616) 527-3630 for updates on picking conditions. 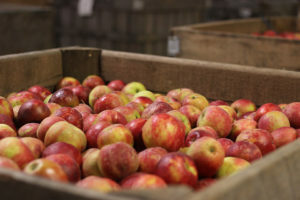 Our market is open seasonally during harvest times starting in mid-June-early July with our delicious STRAWBERRIES, mid-SEPTEMBER through October with a wide variety of APPLES (including Honeycrisp and Northern Spy). 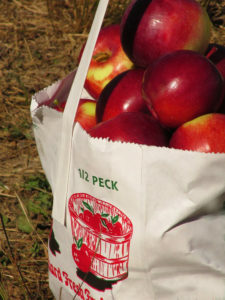 Visit our local farm and market for fresh seasonal fruits harvested at their peak of freshness. 2019 Strawberry Season starts in mid-June. PEACH SEASON LAUNCH will be 2019-2020. A NEW peach orchard has been planted. 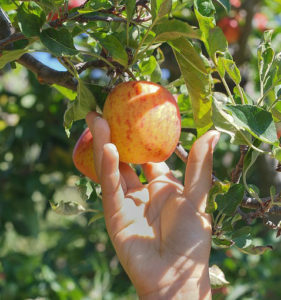 Our trees should be established and producing fruit in a year or two. Please visit our RECIPES page for delicious mouthwatering farm-fresh fruit recipes, kitchen tips, and to learn more about the history of our farm. Subscribe to email updates to receive notification of harvest seasons, market/farm events, and tips.